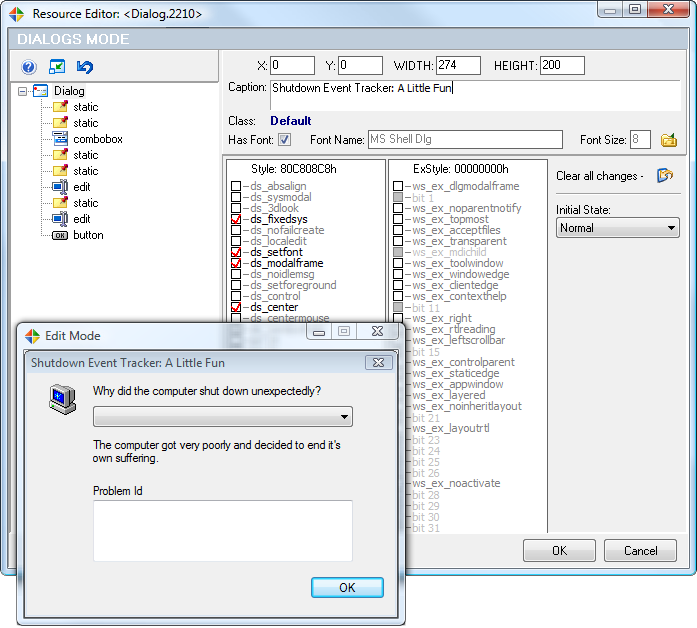 Resource Tuner GUI, a Visual Resource Editor to Browse and Edit Executable File Resources in EXE DLL OCX SCR file. That's why we offer Resource Tuner GUI, a visual resource viewer and editor. It gives you the power to quickly browse and visually modify executable file resources from within the file. In fact, it allows you to view and edit almost any aspect of a compiled Windows program, from the menus to the dialog boxes to the icons and beyond. You can quickly see your changes, save or delete/restore a selected resource, copy a selected resource to the clipboard, insert an application manifest into the resource section, search through the resource tree (useful for searching RCData content), and see properties of a selected resource (Language ID, Type, Raw size, etc). Discover the unique features of Resource Tuner, including how to open problem executable files and edit the hidden data which the other editors simply cannot see, wide range of resource types, UPX unpacker, and more. Support is provided for nearly every type of resources imaginable. The only one that can work with PNG, XML, Image Lists, and Type Library. Double-clicking the resource name in the Resource Tree will automatically start the appropriate editor mode (Text, Graphics, Dialog, Menu, DFM, Media or Version Info). That will allow you to view and edit data in the most convenient and intuitive way. Resource optimizing, error checking and repairing automatically performed when opening a variety of different file types: EXE, DLL, ActiveX controls, MSSTYLES, SCR and more. 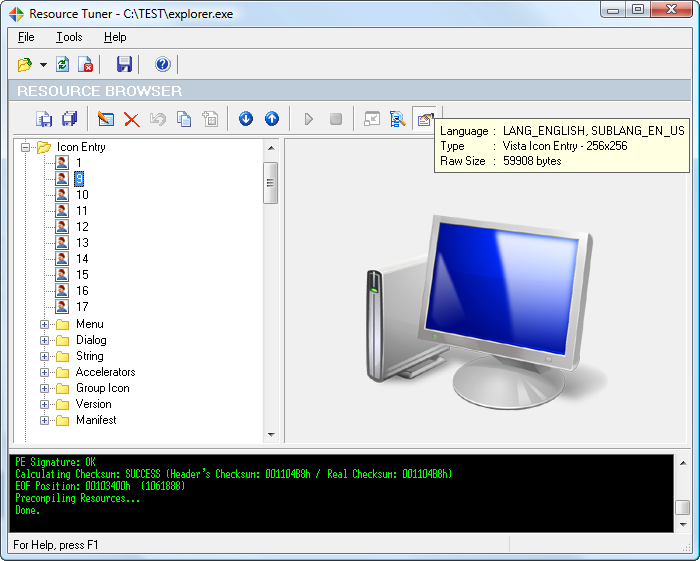 Resource Tuner ships with the UPX Unpacker plug-in. This is a start-up processing plug-in for unpacking files compressed with UPX. Now you can open files compressed with UPX even without knowing that: your file will be unpacked automatically! Power users will also appreciate the plug-in API. Download Resource Tuner and learn how it can make you more productive.